Qianzhousaurus sinensis is a species of dinosaur which doesn't really have a common name but has been Given the nickname Pinochio rex. This nickname is a result of its extremely long nose plus a reference to the widely known species Tyrannosaurus rex. Pinochio rex was around 9 meters long and probably weighed around 1800 kilograms. 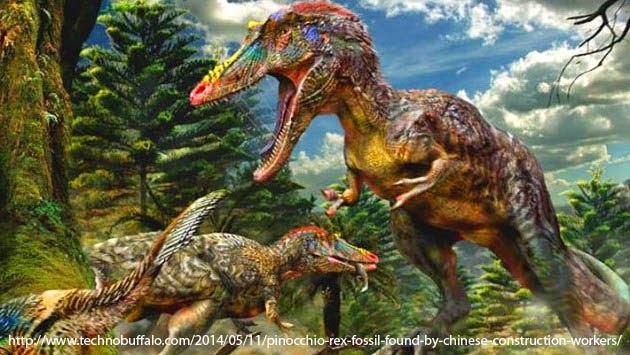 Qianzhousaurus sinensis is only known from a single specimen from a construction site in Jianxi province, China. It comes from 72-66 million years ago, shortly before the dinosaur era ended. Qianzhousaurus sinensis is the only species described in its genus.